Let's face it, kids: when you look at Relief Pitchers in fantasy baseball, the first stat you look at is Saves. It's a pretty easy category to win if you end up with a Closer - any Closer on any team - so long as that guy has a strong foothold on the closer role. For example, Lee Smith, one of the greatest closers of all time, had 36 saves (send-best in baseball) in 1987 with the last-place Chicago Cubs - a team that only won 76 games. By contrast, in the same season, Todd Worrell was the closer for the St. Louis Cardinals. Worrell had 33 saves (4th-best in baseball) for a first-place team with 95 wins. What we're getting at here is don't get too in-depth when it comes to drafting a closer. Take a guy who you "know" is likely to hold onto his job as the closer and pay no mind as to whether hie team is good or bad. Grant Balfour lands in Tampa Bay to replace Fernando Rodney as the Closer. Jim Johnson and Grant Balfour were on p[ace to make the most noise during the off-season as they were trying to swap teams. Jim Johnson landed with the Oakland A's with little effort, other than prying more money away from Billy Beane than he's used to spending. But Grant Balfour actually failed his physical with Johnson's former team, the Baltimore Orioles. As a result of his "failure," he instead landed with the Tampa Bay Rays. Balfour spent 4 seasons with the (Devil) Rays from 2007-2010, and now that Fernando Rodney is leaving to go join the free-agent party in Seattle, that leaves Grant Balfour as the most-likely candidate to be the Rays' closer... if he's healthy enough. And speaking of Fernando Rodney, we told you last season that we were tired of his act, we weren't buying his act, and we were right. We think Seattle is making a mistake in terms of getting an elite closer, but, then again, Tom Wilhemsen didn't exactly strike fear into opposing teams in 2013. The Arizona Diamondbacks have a potential mess on their hands. Then again, when compared to some teams, it may be seen as a nice problem to have. Addison Reed comes over from the Chicago White Sox (with his below-average stats), and then there's Brad Ziegler, the submariner, waiting behind him for Reed's first blown save. Then, there's JJ Putz who has been a legitimate closer in his career with both the Mariners and the D'Backs. So what are the Diamondbacks gonna do? But wait - there's more! Also waiting in the closer wings in Arizona is David Hernandez. We told you about him before last season, but then he had a really off year in 2013, posting a 4.48 ERA. Nonetheless, he still only had a 1.187 WHIP and 9.5 K/9. As of now, Addison Reed is likely to be the closer on opening day, but Kirk Gibson won't hesitate to replace him Given Kirk Gibson's history with closers (see: Dennis Eckersley; see also Goose Gossage). It's not often we recommend you draft up to 4 guys on one team as a potential closer, but all these guys are good and they're all capable of doing the job well. A Closer's Save Percentage is important for obvious reasons as it gives you, the fantasy nerd, insight into just how successful a reliever is at closing out games. The problem with it is that most people only look at it after the fact - after the season is over. But looking strictly at Save Percentage can not only give you insight as to which Closers are most-likely to hang on to their roles as closer, but it can also give you insight as to which relievers may be great sleeper picks for when a team's closer goes down with an injury, or when he just plain ol' stinks up the joint and has to be replaced by someone who's more reliable. Save percentage - even when read in relation to a setup man or a middle reliever who may just get a random chance as a closer (say, the main guy doesn't dare pitch three or four days in a row or something) - is a great indication of who just may be your saving grace as a sleeper pick as your closer this season. You know as well as we do that there are always 5-10 closers picked up off the scrap heap every season in every fantasy league, and this year will be no different. Below is a list you may want to keep handy on draft day. Think about picking up the backup to the actual closer you end up drafting, or think about picking up one of these guys if he's on a team that is threatening to use the ever-popular (and never-used-for-long) "Closer by committee" BS. All eyes are on David Robertson as he replaces Mariano Rivera as the new closer for the New York Yankees. Robertson's stats are definitely there... I mean, he's no Mariano Rivera, but Robertson's ERA has been 1.08, 2.67and2.04 over the past three seasons. Also, his WHIP has been 1.170 or better over those same, three seasons, and his K/9 are 13.5, 12.0 and10.4 respectively. He's ready... but just in case... keep an eye on the Yankees in spring training, or watch for the Yankees to make a deal with someone. The guys behind Robertson in the bullpen right now are crap. 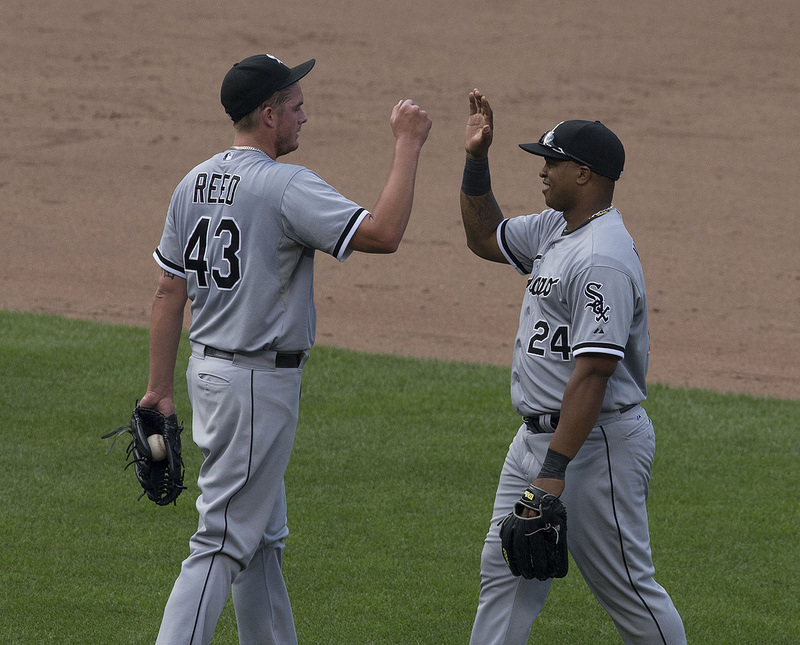 With Addison Reed gone, the Chicago White Sox are trying out Ronald Belisario, Nate Jones, Matt Lindstrom and Daniel Webb at the Closer position in 2014. Belisario has great stuff, but he has historically had trouble getting the 3rd out of any inning, so keep a close watch on these guys. Even though Rex Brothers had a good stint as the Colorado Rockies' closer in 2013, rumors around the league are saying that LaTroy Hawkins is likely to be the closer in 2014. Brothers is 26; Hawkins is 41. Brothers had a better ERA, better K/9, and Hawkins had a better WHIP. If you draft one, draft the other, too. Hawkins is bound to get hurt and Brothers very likely going to end up closing at some point this season. John Axford replaces Chris Perez as the Indians' closer in 2014, but Axford is not exactly reliable. Cody Allen is the next guy in line, unless Vinnie Pestano rebounds from his awful 2013 season. Joe Nathan has left Texas for Detroit. If he gets bit by the injury bug again, the Tigers also have Joba Chamberlain (speaking of injury bugs), Al Albuquerque and Bruce Rondon vying to replace Nathan if/when necessary.